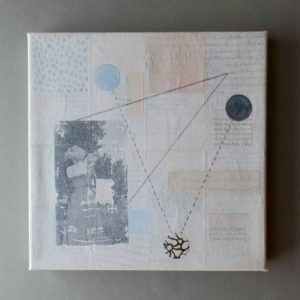 This mixed media painting has been sold. 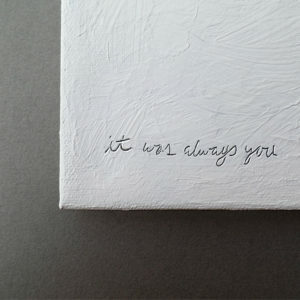 If you would like a custom canvas similar to this, let’s chat! 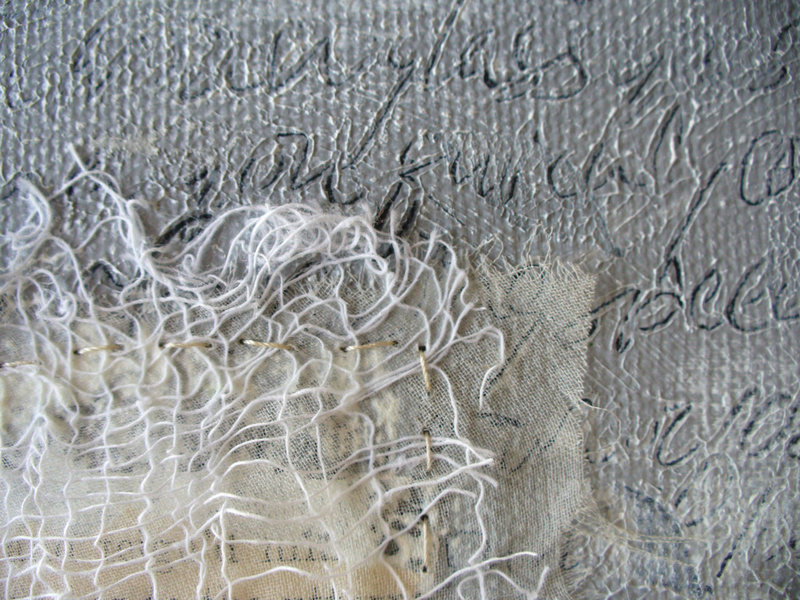 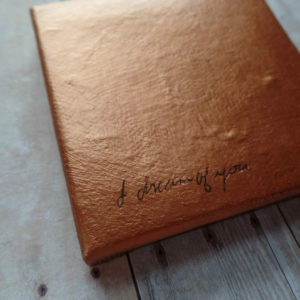 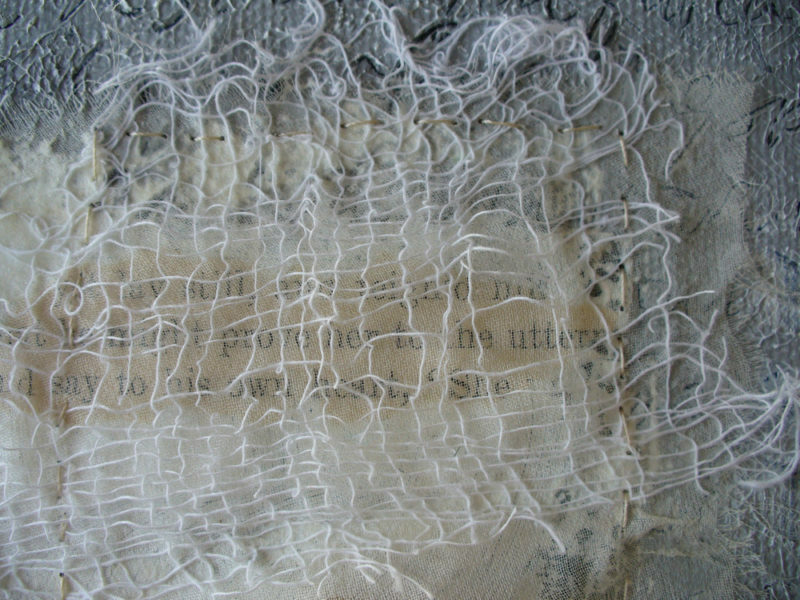 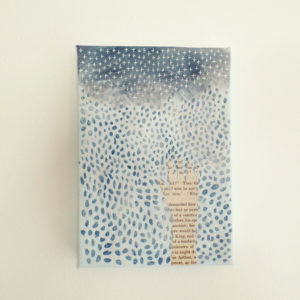 A canvas layered with paint has lyrics etched into the background for a highly textured surface. 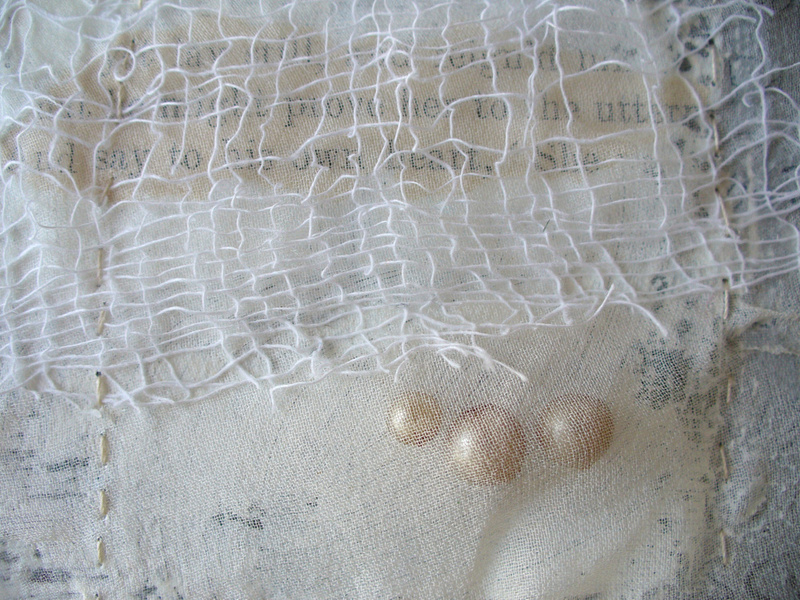 Vintage fabric is stitched to the canvas capturing a few vintage faux pearls and a snippet from an old poetry book, all inviting you to look closer. 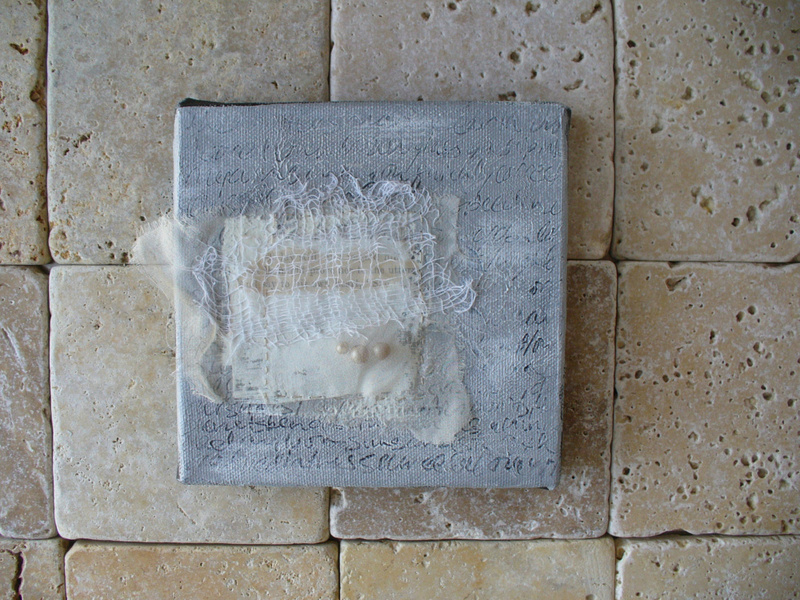 The neutral colors are a soft dove gray with cream and white.